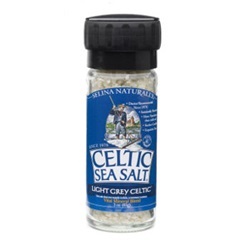 The picture of flavor and convenience ~ our glass grinder comes filled with Celtic Sea Saltï¿½ Brand Light Grey Celticï¿½ and is refillable. 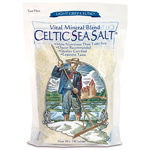 Celtic Sea Salt ï¿½ Light Grey is totally unprocessed, certified organic, kosher and hand harvested. It is dried by the sun and the wind, retaining the oceanï¿½s moisture and locking in a vast array of vital trace minerals. 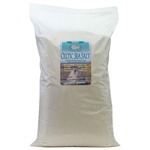 This salt is certified organic by Nature et Progrï¿½s, the highest level of certification allowed in France. 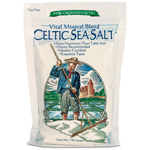 The method used for gathering this salt follows a time-honored 2,000 year-old Celtic culture and tradition, supported and authenticated by modern quality and purity control establishments. Celtic Sea Saltï¿½ Light Grey is a coarse, moist salt that gets a light grey hue from the pure clay it is harvested from. There is no comparison, in taste or in health effects, between mineral-rich Celtic Sea Salts and chemically-treated iodized salts. The salt has a rustic old-world flavor that is more assertive than other salts. Try using it in cooking, for soups and stews, grilling, or grind it with a mortar & pestle or salt grinder. 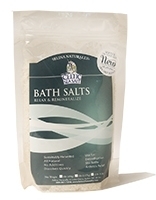 We sell genuine natural sea salts produced without refining, oven drying or chemical additives. The refining of and inclusion of additives in white table salt can be harmful. In fact, all refined white salts, including those labeled sea salts, are known to be detrimental to health. Natural salts that come from pristine clean salt farms make food tastier and more digestible and may often, even measurably, help support vibrant health.